1933 ad for Woman’s Institute dressmaking course. Big, ruffled “Letty Lynton” sleeves became a huge fashion influence after the release of the movie in 1932. 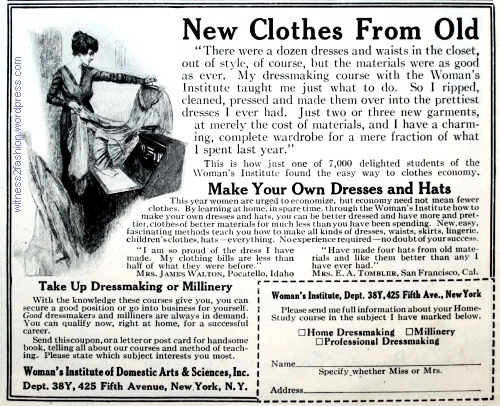 February 1924 ad for Woman’s Institute dressmaking course. This dress is basically a simple tube with neck and arm openings and a belt. December 1924 ad for Woman’s Institute dressmaking course. Except for the collar, this is a dress based on rectangles. August 1925 ad for Woman’s Institute dressmaking course. 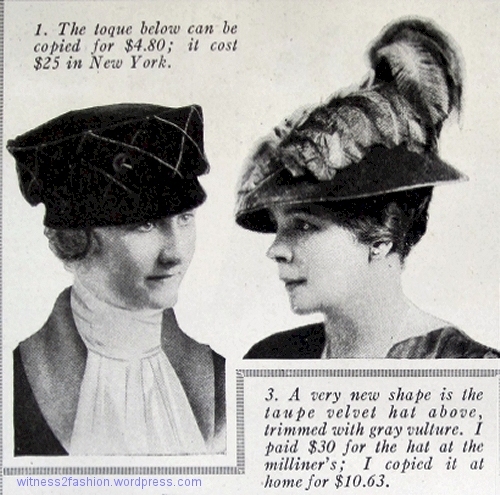 1920’s fashions are getting more complex. 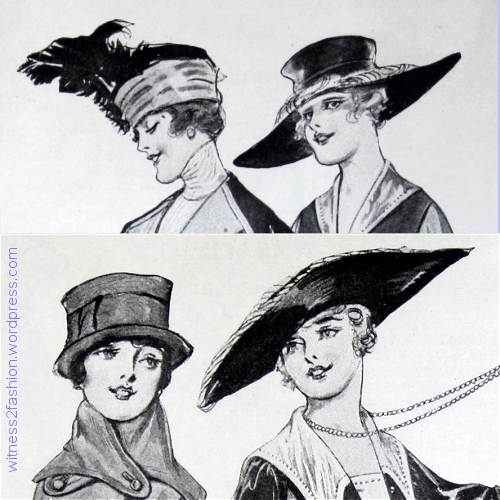 By December 1926, Twenties’ styles are no longer simple tubes or rectangles. December 1926 ad for Woman’s Institute dressmaking course. January 1927 ad for Woman’s Institute dressmaking course. Notice how short skirts have become in just 25 months. 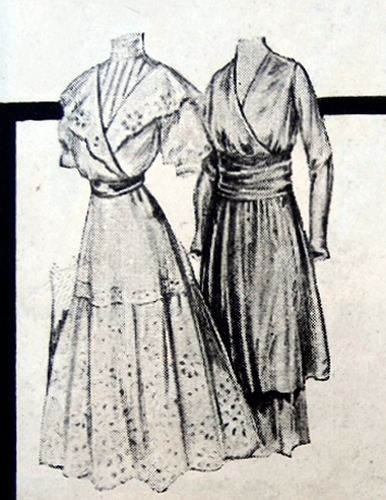 A Woman’s Institute “One Hour Dress” from 1924; two years later, the Woman’s Institute ads showed much more complicated styles. 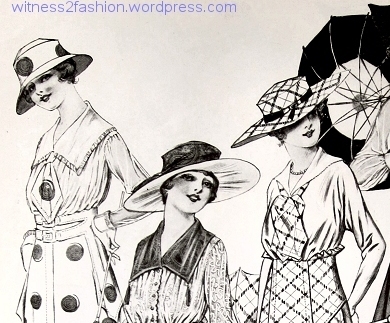 However, the possibility of making a dress in one hour, thanks to early 1920’s styles, probably inspired many women to try making their own clothing for the first time. February 1927 ad for Woman’s Institute dressmaking course. This dress requires piecing curves; it’s not a project for beginners. August 1927 ad for Woman’s Institute dressmaking course. Now there are 250,000 users. October 1927 ad for Woman’s Institute dressmaking course. February 1928 ad for Woman’s Institute dressmaking course. June 1928 ad for Woman’s Institute dressmaking course. This is the most matronly outfit I’ve run across in these ads. The reason many women sew for themselves is that they have non-standard-sized bodies or hard to fit figures. (Having an exceptionally small waist, broad shoulders, or tall body makes it hard to find store-bought clothes that fit, just as having a smaller or larger than average body does.) Oddly, the Woman’s Institute ads I’ve seen don’t seem to be aimed at hard-to-fit women. October 1928 ad for Woman’s Institute dressmaking course. This dress has a chic, asymmetrical collar and side drape. Sending in the coupon from October 1928 would get you a 32 page booklet and a 60 page dressmaking lesson “which tells how to take correct measurements, select the right pattern, alter to your own measurements, cut and fit for all types of figures, etc.” Perhaps hard-to-fit women let their dressmakers alter patterns for them. March 1929 ad for Woman’s Institute dressmaking course. 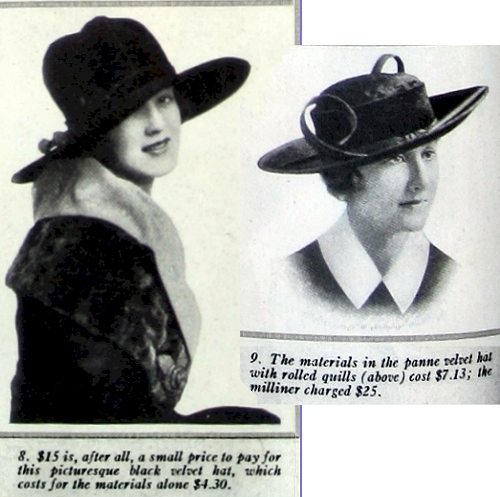 I have not collected many ads from 1929 or 1930, so my parade of fashions from Woman’s Institute ads has some big gaps. February 1931 ad for Woman’s Institute dressmaking course. This shows that not all hems dropped precipitately after 1929. I have no photos from 1932, but the very long hemline on this dress was well established by 1933. February 1933 ad for Woman’s Institute dressmaking course. 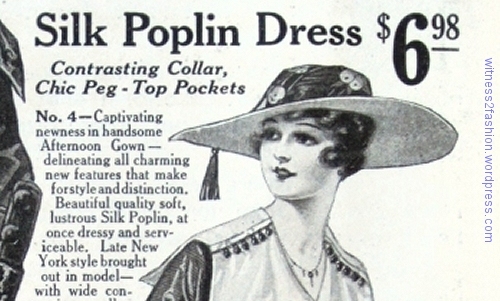 1930’s ads often showed evening gowns. March 1933 ad for Woman’s Institute dressmaking course. Scottie Dog (and fox fur stole) optional. September 1934 ad for Woman’s Institute dressmaking course. 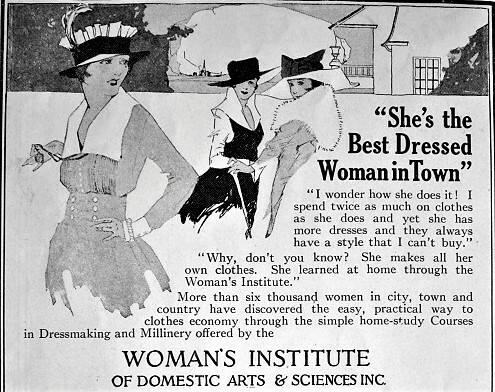 Woman’s Institute ads seem to feature more evening dresses in the 1930’s, perhaps because the emphasis is changing to copying fashions, designing your own, and owning your own business or dress shop. In addition to lessons in making dresses and hats, Woman’s Institute courses on Cookery and, now, Tea Room Management were available. Traditionally, most 20th century women who had their clothes made by dressmakers started with a commercial pattern or a photograph from a fashion magazine, although they might ask for changes to suit their taste. September 1936 ad for Woman’s Institute dressmaking course. This ad is unusual because it shows a commercial pattern, Vogue 7403. 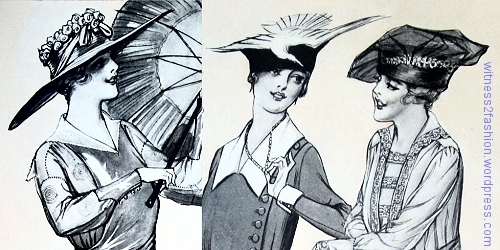 These 1930’s ads now introduce the idea of copying high fashion, designing dresses, and opening your own dress shop. October 1936 ad for Woman’s Institute dressmaking course. The ability to work from home has always been important to women with children and other domestic responsibilities. And, of course, the overhead of a home business is lower than that of a shop. In 1938, Woman’s Institute placed this ad in a Butterick Fashion News Flyer, encouraging women who use commercial patterns to design and make their own clothes with the dressmaking skills learned from Woman’s Institute. 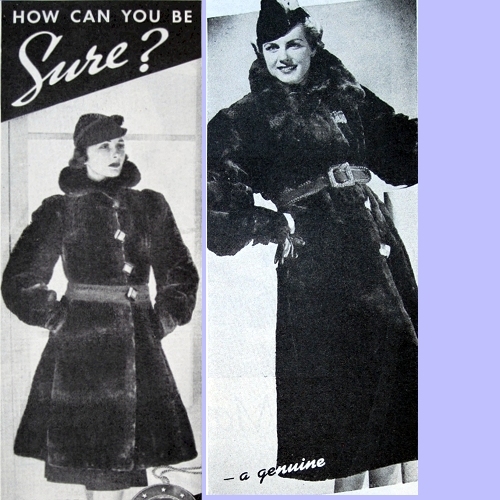 Woman’s Institute advertisement that appeared in the Butterick Fashion News Flyer for March, 1938. 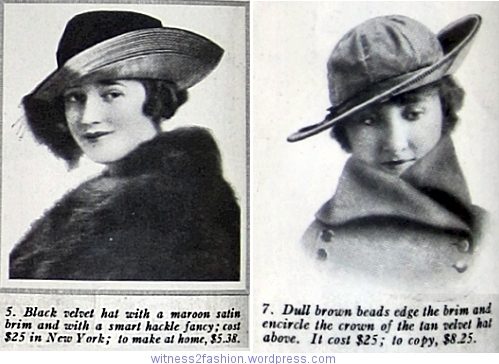 “Be the smartest dressed woman in your town!” That’s almost what the ads said in 1917! Testimonials from Woman’s Institute customers. There are now 300,000 of them. March 1938. Coupon for Woman’s Institute, March 1938. 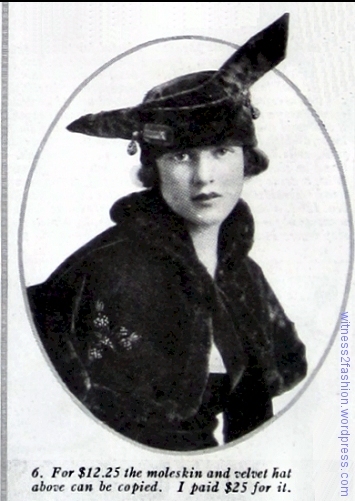 Mary Brooks Picken also published a quarterly magazine, Fashion Service. If you are researching Woman’s Institute ads, I found 1114 citations with a search on the Cornell University Home Archive. Advertising Mary Brooks Picken’s Woman’s Institute: Out Stepped Ann! “Out Stepped Ann!” This full page ad in Delineator magazine looks like a story. It’s really an advertisement for the Woman’s Institute correspondence course in dressmaking. Delineator, May 1924, page 5. As sometimes happens with great stuff you find on the internet, I can no longer locate the first helpful site I found about the Woman’s Institute and its founder, Mary Brooks Picken. But I owe it thanks for mentioning the brilliant ad campaign which contributed to the Institute’s success — which is why I photographed this full page ad when I saw it. (The instruction books and booklets written by Picken were excellent; I used one many years ago, in graduate school. I learned a lot about making twenties’ dresses from her! In other words, the Woman’s Institute delivered what it promised. 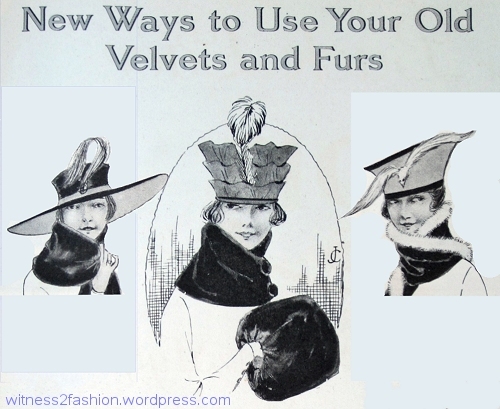 A page from her twenties’ book about designing by draping fashions could be a “light bulb” moment for you, too. ) But that “lost” site which mentioned the genius of Picken’s second husband, G. Lynn Sumner, “president of the advertising firm of G. Lynn Sumner Co. of New York” which was probably responsible for the Woman’s Institute ads, was the reason I saved this wonderful example of his story-telling technique. It was a full page ad — an expensive venture — that captures the psychological appeal of the Woman’s Institute courses. Here is Ann at the climax of the story, stepping out from behind a curtain in the new dress she made herself. 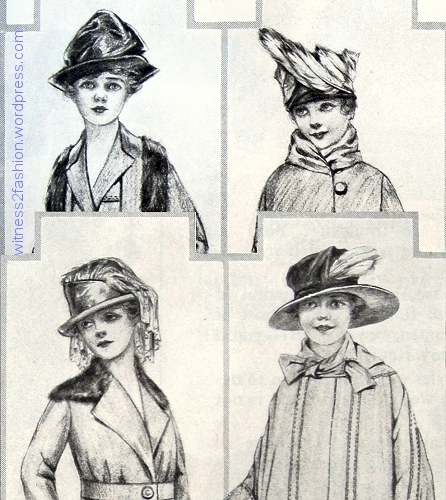 Woman’s Institute ad, Delineator, May 1924, p. 5. 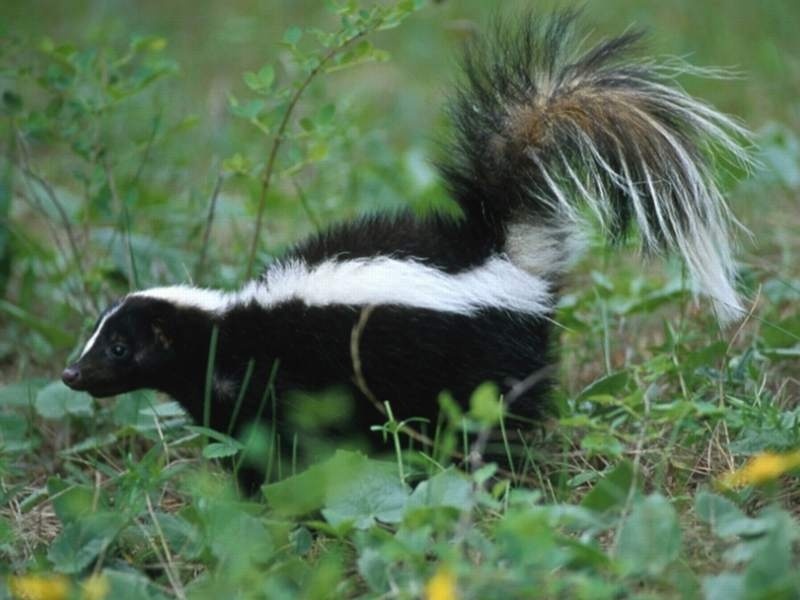 Ann is so embarrassed by her shoddy old “good dress” that she deliberately spills a bottle of perfume on it rather than go to the party. Determined to come up with something to wear to her best friend’s upcoming birthday party, Ann ransacks her closet for old dresses that might be remade. She consults the local dressmaker about remaking a dress, but she’s told that every dressmaker in town is already too busy with other orders. Ann goes window shopping, but can’t afford any of the dresses she sees, so she doesn’t even try them on. At home, Ann leafs through a fashion magazine. Ann tells her friends that she’s suffering from “nerves” and under doctors’ orders to stay at home and rest for a month. Her other friends don’t visit her, but Elizabeth tells them that Ann seems happy, especially since she is now getting lots of letters and packages in the mail. And Ann promises not to miss Elizabeth’s birthday celebration. Here is Ann, stepping out from behind a curtain in the new dress she made herself. 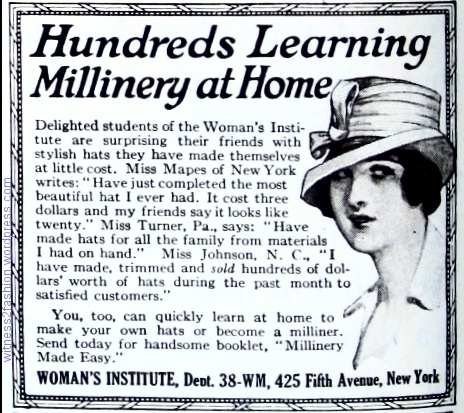 Woman’s Institute ad, Delineator, May 1924, p.5. 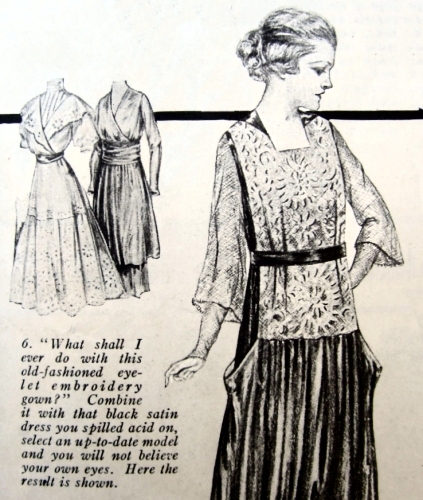 “Making Beautiful Clothes” booklet, from an ad for Woman’s Institute, Delineator, Feb. 1924, p. 79. Doesn’t that make you want to send in your coupon? Coupon for information and free booklet from Woman’s Institute. Feb., 1924. 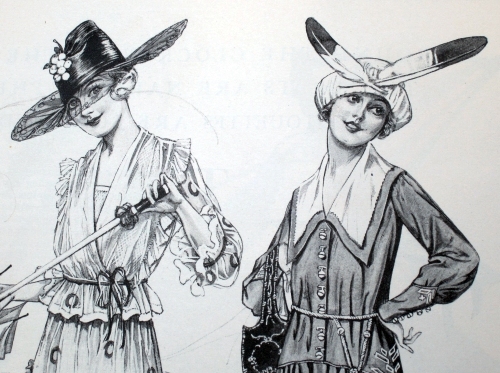 Good News: Some of Mary Brooks Picken’s books on 1920’s dressmaking are available as paperback reprints. 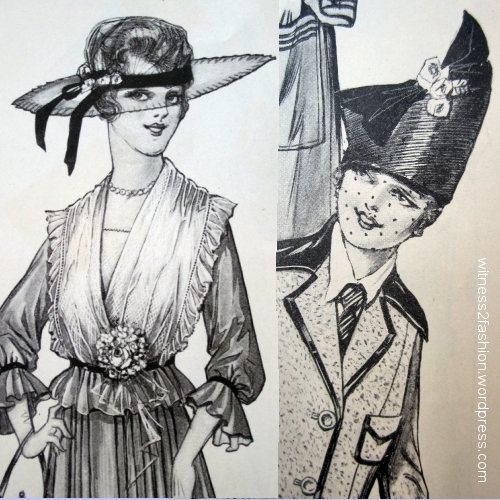 The famous “one hour dress” book (1924 edition) by Mary Picken is available as a reprint. Since the styles of 1924 are still long, “tubular twenties,” you might prefer the 1925 edition, which is also available. 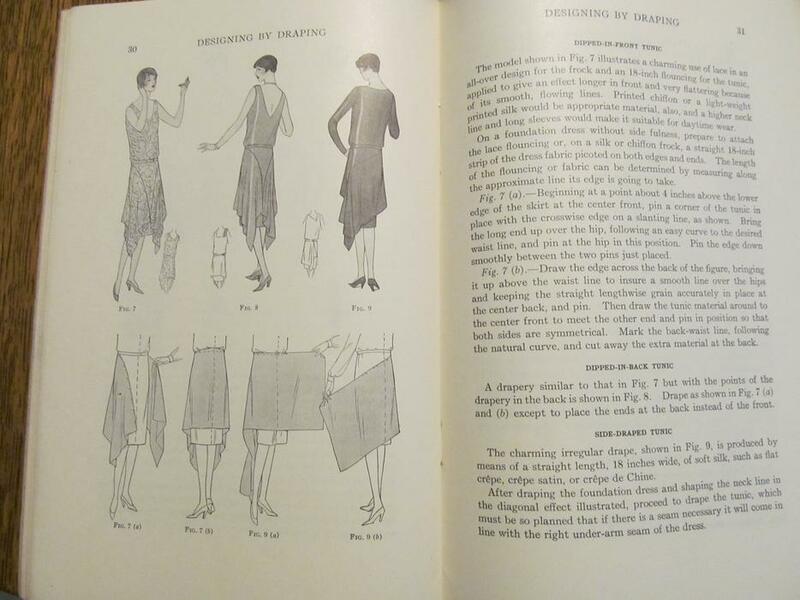 You can also download and print your own copy of her 1925 book The Mary Brooks Picken Method of Modern Dressmaking thanks to ///Columbia/// CORRECTION: Cornell University: click here. This is an illustrated sewing basics book which gives an indication of how thorough Picken was. It is not a “one-hour dress” book. Picken also wrote the Singer Sewing Book in the 1950’s. 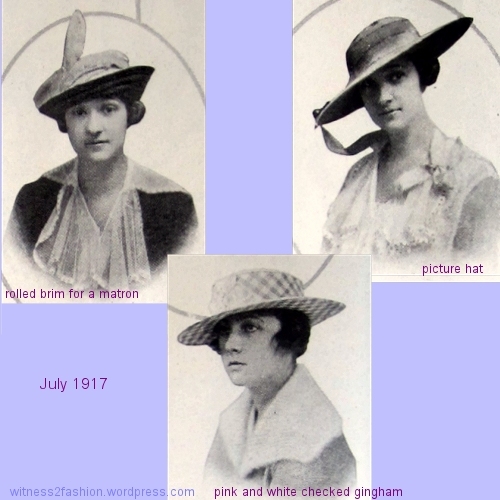 The Woman’s Institute had already been around for several years in the Twenties; its ads always emphasized both personal and professional dress making and millinery opportunities for women. Many of the points made in “Out Stepped Ann!” were repeated in smaller monthly advertisements. Even early ads emphasized financial savings, a chance to learn a skill that could produce income, and a sense of accomplishment. The women in these ads were proud that they had made their own clothes. “Yes, I Made It All Myself!” students of the Woman’s Institute proudly proclaimed in the ads. Delineator, July 1917. These ads battled the stigma of wearing clothes that looked “home-made;” and, if a woman followed the instructions carefully, her clothes would in fact look well-made. “She’s the Best Dressed Woman in Town” because she learned to make clothes and hats by taking a home study course from Woman’s Institute. Other women envy her. 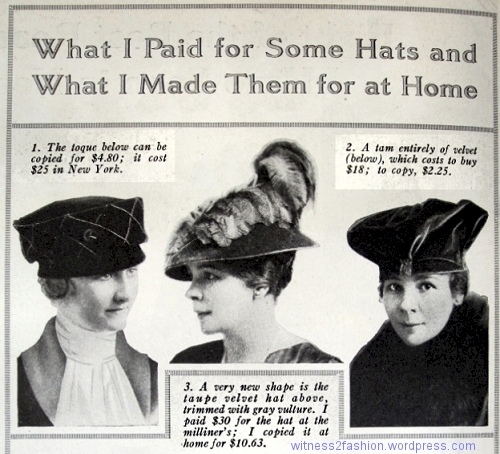 Ad from Ladies’ Home Journal, September 1917. “I’m Making My Own Dresses This Summer,” and clothes for the children, too, brags this satisfied customer. Detail, Woman’s Institute ad from Ladies’ Home Journal, July 1917. 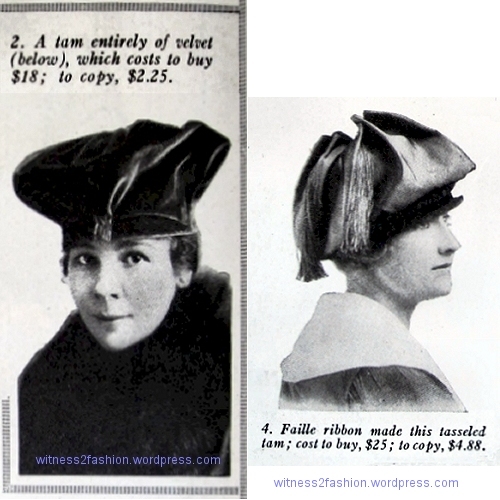 Making your own clothing and turning last year’s dresses into new styles was patriotic, too, during World War I. Click here. 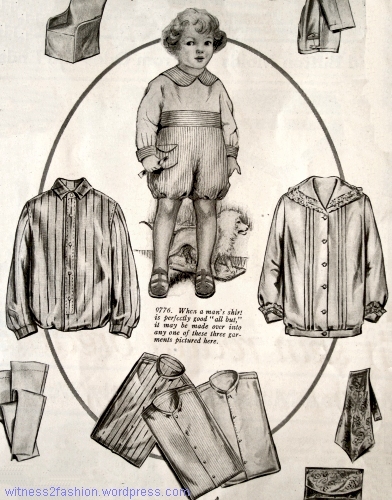 Making “New Clothes From Old” was a patriotic duty during World War I. “This year women are urged to economize, but economy need not mean fewer clothes.” Woman’s Institute ad, Ladies’ Home Journal, Nov. 1917. Aside from the occasional full page ad, Woman’s Institute inserted small advertisements into most women’s magazines every month — sometimes two ads in one issue. What is remarkable to me is that there was a new, different ad every month. 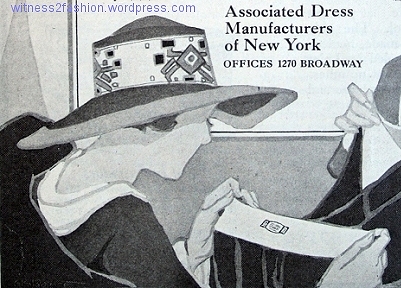 Detail, Woman’s Institute ad, Delineator, January 1927. Detail, Woman’s Institute ad, Delineator, March 1933. Fashions changed a lot in those six years. 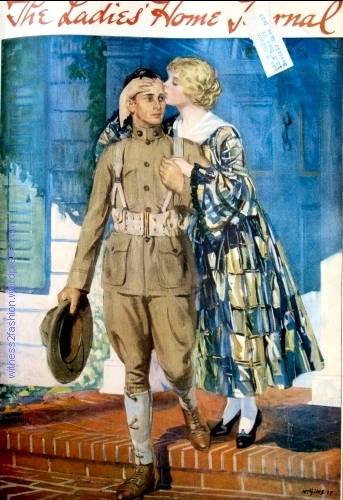 Ladies’ Home Journal Cover by M. Giles, September 1917. Her dress, with its 1860-ish pagoda sleeves, evokes the Civil War. 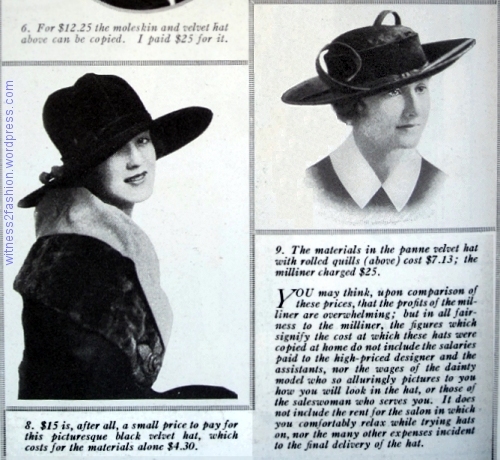 When the United States entered World War I, the “women’s magazines” communicated many of the new restrictions on food and fabric use to families all over the country. 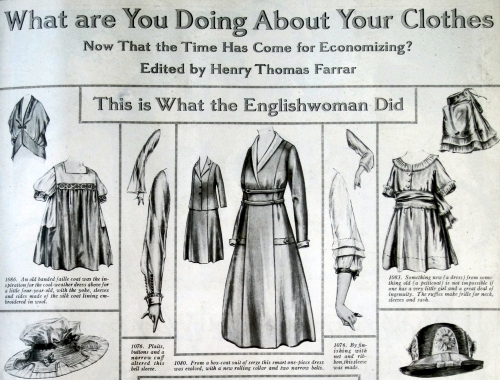 “This Is What the Englishwoman Did.” Ladies’ Home Journal, July 1917. What the Englishwoman did was plunder her closet and convert out-of-fashion or worn-out clothing to new styles for herself and her family. She made children’s dresses from her old jackets (top left) and old petticoats (top right), put new, remade sleeves on old gowns, turned old suits into “new” dresses (center), and refurbished old hats. 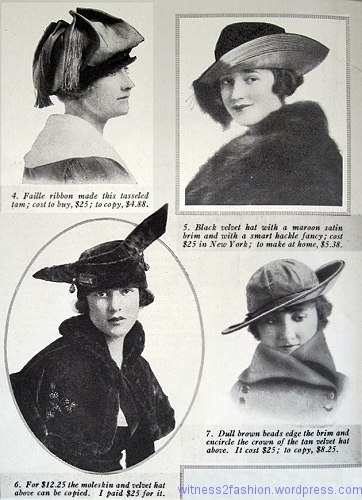 Woman’s Institute ad, Ladies’ Home Journal, Nov. 1917. “This year women are urged to economize, but economy need not mean fewer clothes.” Woman’s Institute offered correspondence courses in sewing, etc. 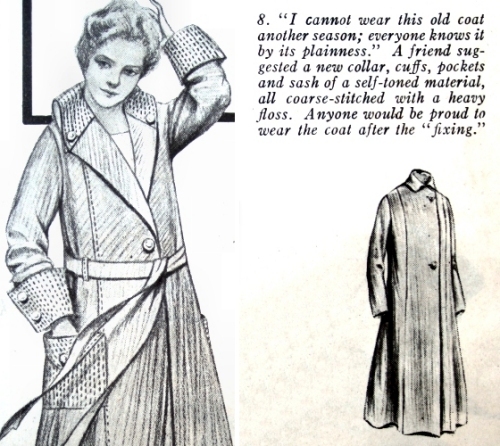 Both Delineator (which targeted middle and upper middle class women) and Ladies’ Home Journal (which was aimed a little lower on the social scale) began runnning regular articles on how to convert old clothes to new; sometimes they even sold patterns intended to be used in this way. You can see that the bands of trim from the evening gown, including ruffle, have been incorporated into the blouse. This may not be easy reading for Vintage Clothing Dealers; today, a lovely pre-war gown is more appreciated than a matronly blouse. 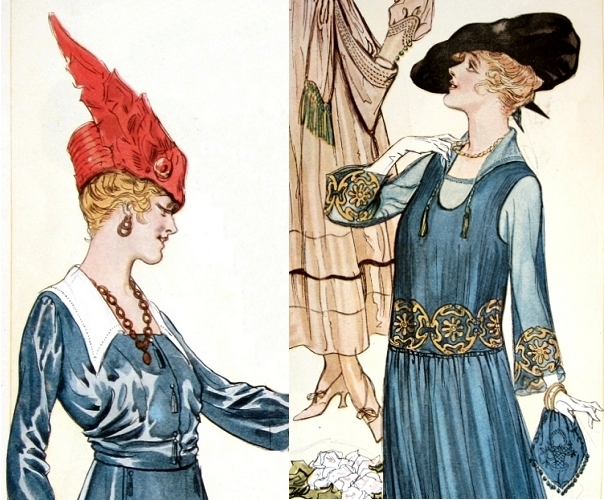 Dresses suitable for salvage, Ladies’ Home Journal, Sept. 1917. Dress made from two old dresses, Sept. 1917. Ladies’ Home Journal. A reader of mystery novels might wonder why a woman wearing a black satin dress was handling acid . . . . 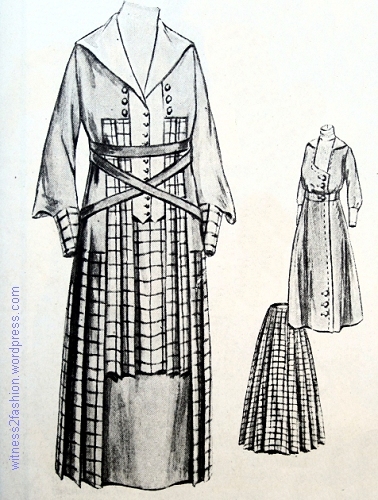 The dress below was made from an old dress and a long plaid skirt. 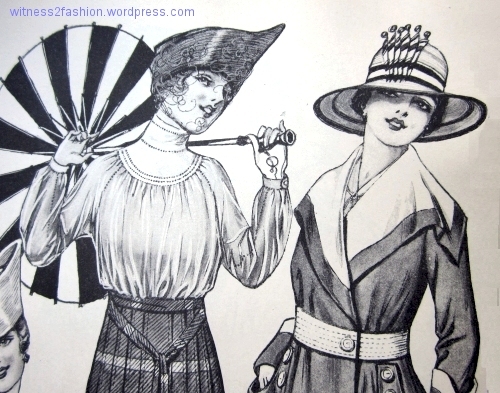 The criss-cross belt was very fashionable in 1917. Dress made from an old skirt and dress, Sept. 1917. Ladies’ Home Journal. I’m not sure that “bite” out of the front showing an underskirt is a great idea…. “Young girls fairly glow in fluffy things with ruffles, like this party frock made of dotted curtain mull.” Ladies’ Home Journal, Sept. 1917. 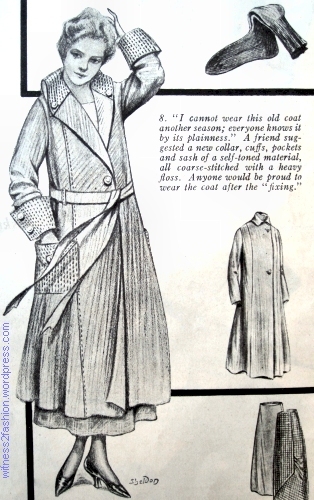 Remodeled coat, Sept. 1917. Ladies’ Home Journal. Illustration by Sheldon. 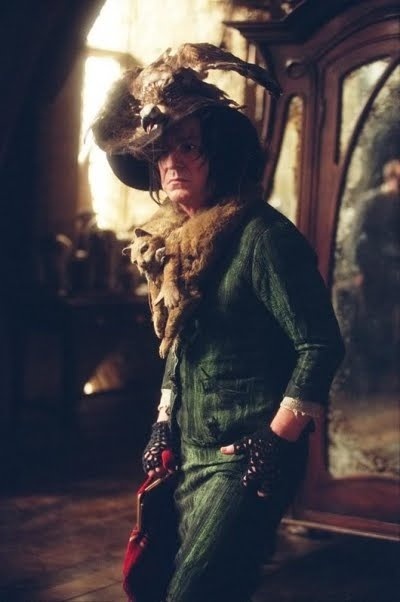 The result is much more stylish, indeed. I had a chance to photograph a high-quality wool suit ( probably dated 1918) with similar “coarse-stitching” in silk floss; it’s a lovely detail. 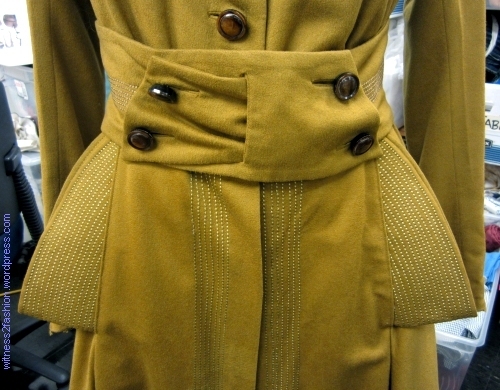 “Coarse-stitching” on the pockets, belt, and center front opening of a vintage suit with labels from Hickson (New York & Boston)and E. E. Atkinson & Co., Minneapolis. Thanks to B. Murray for the opportunity to photograph this suit.